Manchester United take on Arsenal at Old Trafford in what will be a crucial fixture for both sides. The Gunners will come into the game fresh off the high of thrashing their rivals Spurs earlier in the week, while the Red Devils are yet to string together a convincing run of games. The longevity of the present table standings will certainly be affected by this game, and it will be interesting to see what tactics both gaffers will undertake to have a better edge in the mid-week fixture. After enjoying a period of nearly no injuries, the woes are back to haunt Jose Mourinho. This fixture will see the absence of Alexis Sanchez, who is unlikely to play again this year, and is joined by the injured Darmian, Bailly, and Lindelof, while Smalling may be in doubt. Jones too, may have picked up a knock. Young won’t play a part in the game after having picked up his 5th yellow card against Southampton, which gives a strong hope that Diogo Dalot will start against the London side. Meanwhile, Marcus Rashford is believed to be apt to recover from the minor knock he received late against the Saints. Anthony Martial may start this time, but the shape of their forward line ought to be interesting now that Romelu Lukaku is back scoring. Unai Emery will be proud of his side’s antics, and will be keen on putting up a strong show at Old Trafford. The fitness of Ozil is in doubt ahead of the fixture, as is that of Monreal, while Welbeck and Mavropanos remain long-term absentees. Lastly, Granit Xhaka will also serve a one-match suspension against the Red Devils. 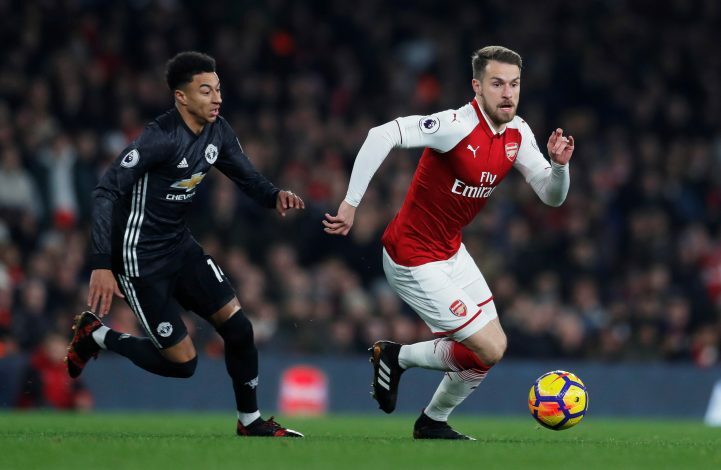 Aaron Ramsey’s heroics against Spurs are bound to see him start ahead of Mkhitaryan for the game, and the same may apply to Lacazette as well.